Time for November’s swap from Recipe Swap Club and this month I was tasked with Pantry Half Full and chose a Crunchy Lemon Parmesan Chicken with Broccoli! 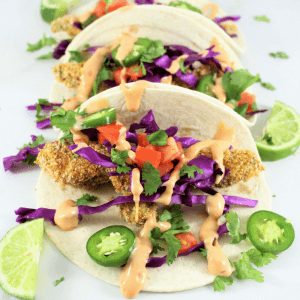 Safrina is the girl behind the food blog of Pantry Half Full and has wonderful recipes and videos! Love the cooking the videos. She was born in India and now resides in London and you are sure to find some culturally inspired dishes that honestly look lovely and her instructions and videos are amazing so anyone can surely follow along. There is a recipe for Kayalpatnam Chicken Curry that is definetly on my Need to Make List but I am so happy with how this Crunchy Lemon Parmesan Chicken with Broccoli turned out. It is a great go to family meal for busy week nights and exactly the type of recipe we are all about here at Simply Made Recipes. Crunchy Lemon Parmesan Chicken with Broccoli with chicken breast covered with panko and parmesan and a really nice lemon flavor. Crunchy Lemon Parmesan Chicken with Broccoli is one of those dishes that just makes you feel good eating, refreshing and energizing. You can have this meal ready in under 45 minutes and the entire family loved it. Swap out the broccoli for asparagus if you would like but my kids scarf down that broccoli, although my son kept on telling me the broccoli tasted weird today, that is was sooo lemony but he didn’t fail to eat every crumb. Basically, his complaints are invalid. For recipes such as this one, I like to get really organized. I get my 3 bowls lined up and add the necessary ingredients. Prep what I need to and clean up what I can. Then, I start coating the chicken and moving down the line to put them on the baking sheet. Gather ingredients, 3 bowls, foil, baking sheet, measuring cups, knife, and cutting board. Cover baking sheet with foil and lighly grease with olive oil. In bowl #1: breadcrumbs, Parmesan cheese, oregano, garlic powder, salt, and pepper. In bowl #3: stir together the melted butter, 5 tablespoons lemon juice, 2 teaspoons lemon zest, and minced garlic. Set aside 4 tablespoons of the lemon butter mixture for later. Arrange your work station with the three bowls: flour, breadcrumb mixture and lemon butter mixture. Coat your chicken strips in the flour, then dip it into the lemon butter and finally coat with the breadcrumb mixture. Lay the strip on the prepared baking tray. Repeat until you have used up all the chicken. Sprinkle with any leftover breadcrumb mixture. Turn the chicken pieces carefully. Decorate with thinly sliced lemon. Nestle the broccoli or asparagus in the space around the chicken and drizzle with the remaining lemon butter mixture that we set aside earlier. Sprinkle with salt. Bake for another 14 to 16 minutes. 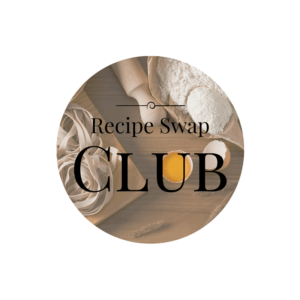 Missed October’s recipe swap? Now worries. Check it out now Berly’s Kitchen Cinnamon Rolls. Love the lemon and parmesan! This sounds like delicious idea for dinner! I need to save it so I can make it for the hubby! Thanks for this recipe, it’s time to start eating healthy!